"Throughout the band's career it has been usual to do regional press interviews to promote tour dates in that town. 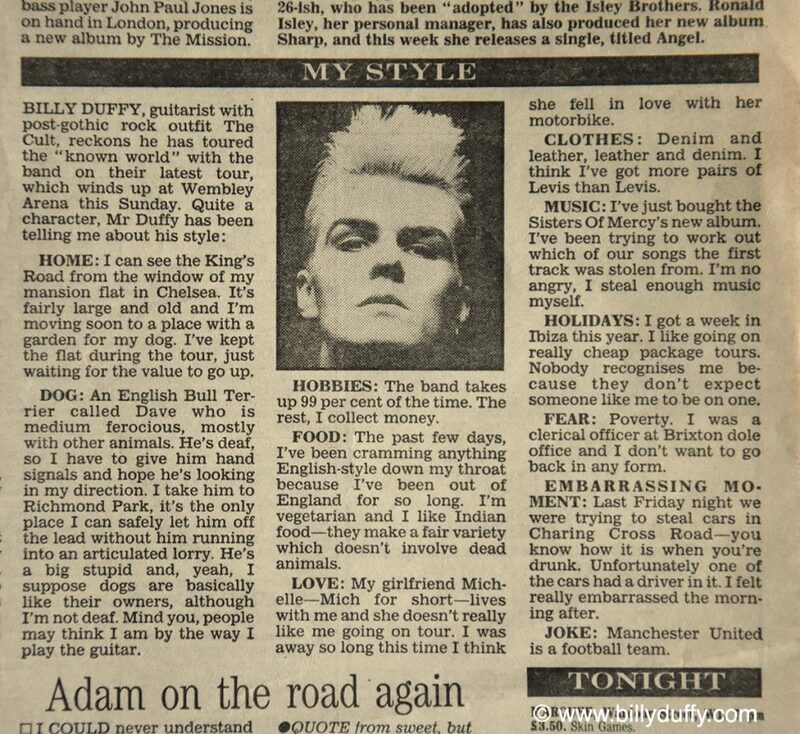 Back in November 1987 we had a massive show playing the Arena at Wembley so I was called on to do a small Q&A for the London Evening Standard. You'll see I was quite the “card” back then with a few cringeworthy answers... but also some that still ring pretty close to the truth (you decide which). Remember I was just a young man having some fun with (yet) another interview and this has to be taken in context and with a large pinch of salt!! !